hd00:44Togliatti Russia - June 2018, Husband and wife want to buy toys for son, wide range of toys. Happy couple discussing, talking and enjoying shopping in toy store. 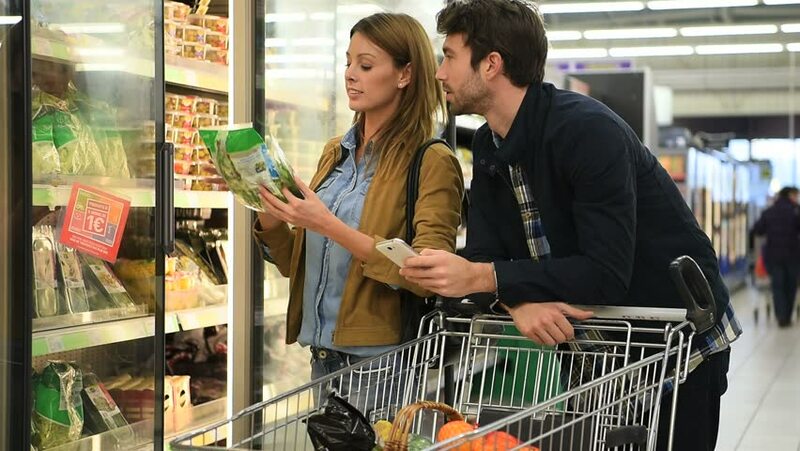 hd00:27Togliatti Russia - June 2018, Man and woman standing in aisle with baby food and choosing baby formula for kid. Wide selection of baby nutritions. Excited new parents.